Finalists at Intel ISEF 2015, held in Pittsburgh. Pittsburgh has 446 bridges—more than any other city in the world. The city was home to Fred Rogers, host of Mr. Rogers’ Neighborhood. The first digital emoticons were invented at Pittsburgh’s Carnegie Mellon University. But it’s not just bridges, Mr. Rogers and emoticons that make Pittsburgh fun. The Intel International Science and Engineering Fair will bring thousands of finalists from around the world to the Steel City from May 13 to 18—and it’s sure to be a great time. 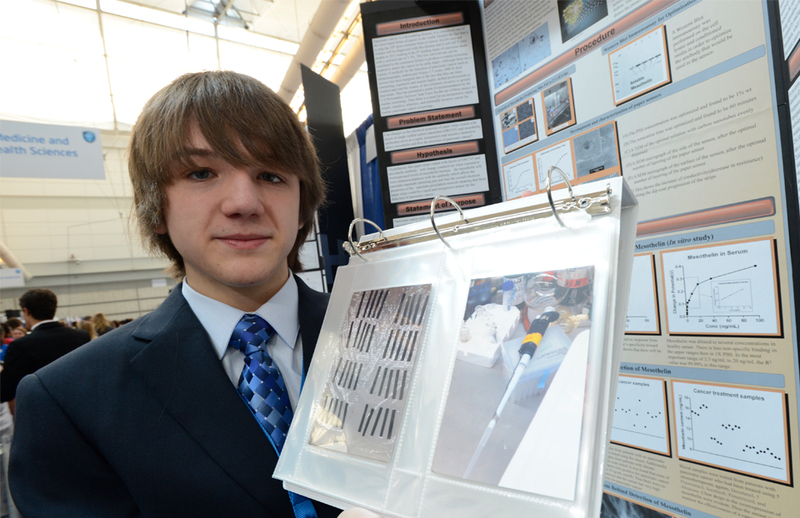 Pittsburgh, home to 446 bridges, will host Intel ISEF this year. A group of Intel ISEF 2012 finalists enjoy a view of Pittsburgh. However, this isn’t the first time Pittsburgh has hosted Intel ISEF. Finalists from around the world have flocked to Pittsburgh to participate in the world’s largest science and engineering fair on three previous occasions. Pittsburgh first hosted ISEF in 1989, when 746 finalists from 395 affiliated fairs around the world gathered to compete. Intel ISEF didn’t return to Pittsburgh again until 2012. By this time, the fair had grown to include 1,530 finalists and 446 affiliated fairs from approximately 70 countries. In 2015, Intel ISEF came back to Pittsburgh, when over 1,702 finalists from approximately 422 affiliated fairs in 75 countries participated. We are excited to see what exciting memories will take place this year in Pittsburgh during Intel ISEF 2018.